The Dublin Dental University Hospital is the major dental teaching hospital in Ireland, undertaking the training of postgraduate and undergraduate dental students, student dental nurses, dental technicians and dental hygienists. 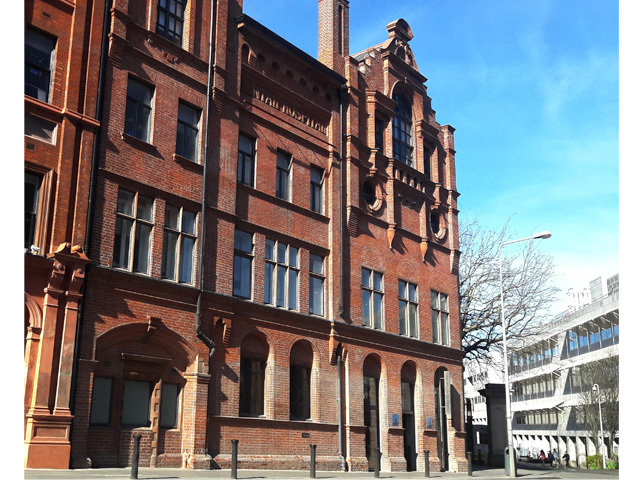 Dublin Dental University Hospital has been in Lincoln Place, Dublin 2 since 1899. Image Supply Systems has provided design, installation and support services for audio visual and video conferencing systems for Dublin Dental University Hospital since 2006. Seeking to enhance and develop education and research practices, the University Hospital has invested in the integration of state-of-the-art AV technology to facilitate such activities. In addition to presentation equipment in lecture theatres, seminar rooms, Boardroom, and reception areas, we have installed sophisticated video conferencing systems for recording of training and lectures. Installed systems include fully integrated control, projection equipment, sound systems, video conferencing system, lecture recording and streaming technology, Onelan Digital Signage. Prowise touch screens have been rolled out across teaching facilities in Dublin Dental University Hospital.